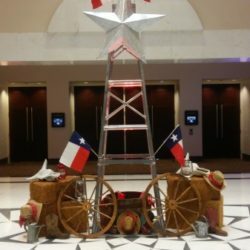 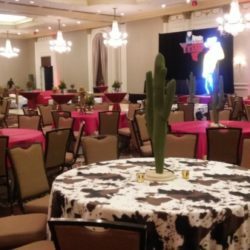 Here in Texas, what could be more fun than a western theme party! 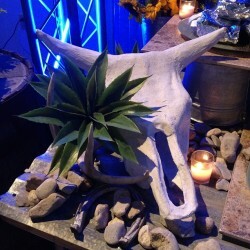 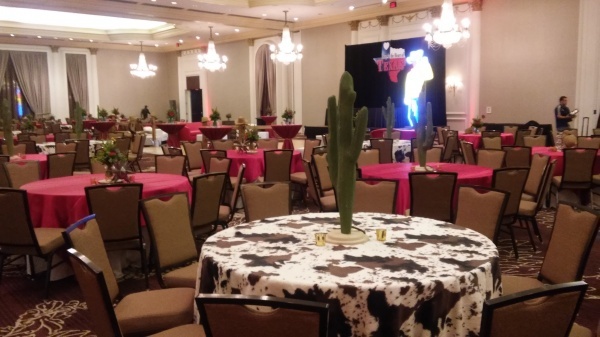 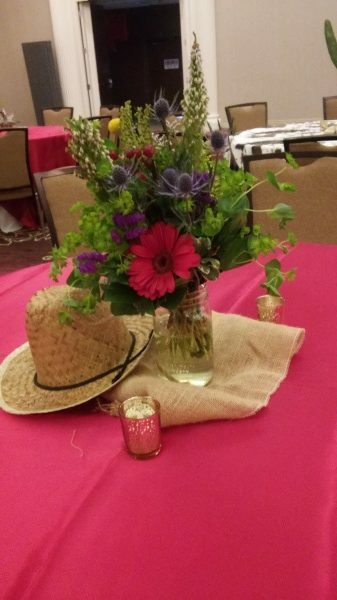 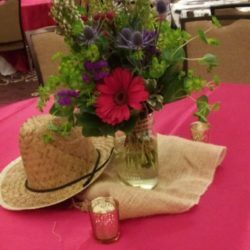 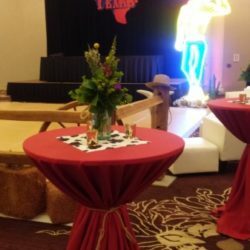 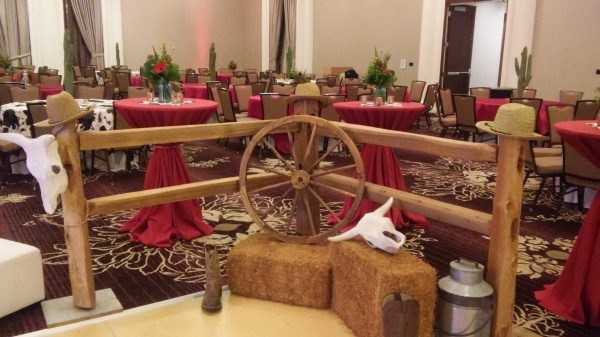 This corporate event was a western style bash that included everything from table linens and festive overlays to centerpieces, lighting, lounge, western tack, split rail, neon, and custom signage. 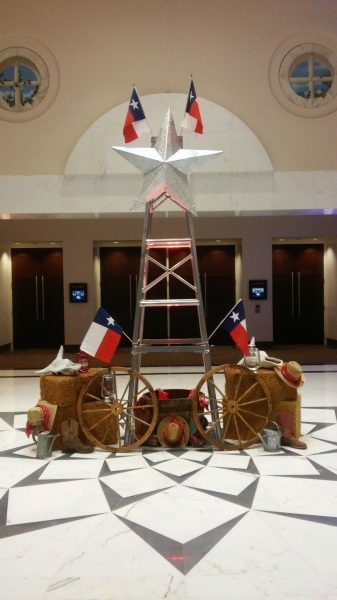 Out at the entry, guests walked past a giant oil derrick truss display before entering the ballroom. 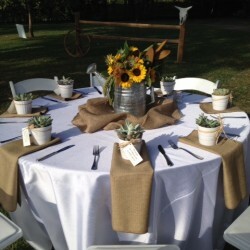 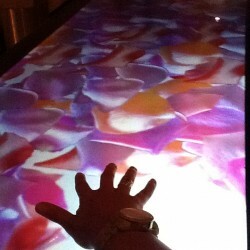 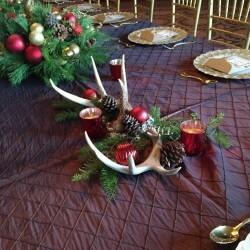 Once inside, they found guest tables covered in red linen and alternating with cow hide print overlays. 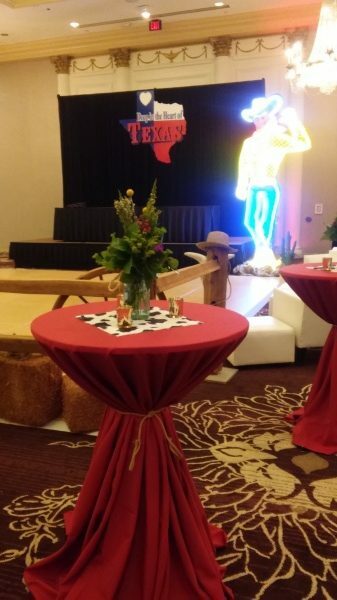 A giant neon cowboy stood in front of the stage backdrop along with custom signage. 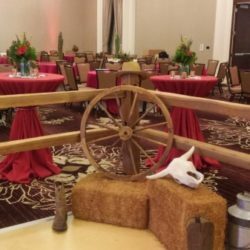 LED up-lighting in red surrounded perimeter walls and the dance floor was embellished with split rail fencing and western tack.